As a manufacturer specialized in the building industry, Indurit offers since many years quality products for the realization, renovation and protection of floors. Thanks to our know-how, we offer a large range of coating and mixes intended for the construction and food and beverage sectors, to offer the best guarantees during the pouring of a mortar or an agro-food coating. May it be for the realization of concrete surfaces, for example for a underground parking, or the protection of an heavily stressed floor. Indurit offers many unique and efficient solutions. 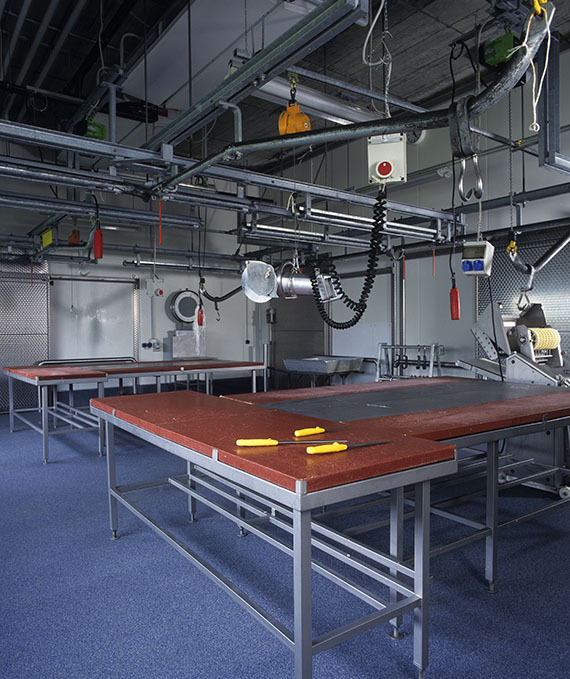 Every industrial floor needs an optimal protection. Put under multiple types of aggressions, pressures and stresses, fabric, warehouses and professional facilities’ floors are endlessly confronted to footfall and machinery traffic. It is the reason why Indurit designed coatings imagined in particular to protect this kind of floors. Thanks to product manufactured from simple and quality materials, such as very resistant metallic chemical compounds, Indurit products are ideals to lay strong and long-lasting floors. Primers, leveling, bonding, protection… The Indurit coating range answers all kinds of needs to offers a solution to every surface type. Thanks to a fine knowledge of the latest application techniques and floor protection, Indurit also offers ranges of product for structural, masonry and frontage work. Indurit is a French brand that has maintained its production in France in order to maintain the know-how of its professional team and the quality of its products. Located in La Baume d’Hostun, the company knew how to develop an ever higher exigency for its products along the years, for professionals as for privates. Aside from their great quality, Indurit products are simple to apply, may it be for renovation, as for an autonomous and effective protection of your garage’s floor, but also for the protection of an agro-food floor, subject to mechanic abrasion or traffic, such as the floor of your industry. Available for all, the application of coatings and Indurit products is simple to execute. The product comes with a clear instruction manual to avoid the necessity of professional applicators. It is however necessary to closely follow instructions to guarantee the best adhesion possible and therefor an optimal effectivity for the realisation or protection of your floor. Adapted and professional tools are also necessary to give the best chances to the applied product to develop its full potential. Please feel free to test Indurit Products: of great quality, made from a unique know-how and simple to apply, they constitute the ideal solution for every floor application or renovation!